A growing movement driven by misogyny and resentment is pulling in frustrated men struggling with changing definitions of masculinity. A men's fitness columnist on why they should walk away. This has GOT to be the most irresponsible piece of tripe ever published under Time's good name. Goodbye, subscription! To connect MRA's with misogyny and some whackjob who had NOTHING to do with MRA's borders on libel. To make extremely inaccurate statements to support an outrightly ridiculous argument is in keeping with feminist methodology, not MRA methodology, which accepts - and encourages - open peer review of all claims and evidence. women...wives, daughters, mothers of men. What they could never comprehend is, it's not about women, we love our women, women love their men, it's about feminism and their manginas and those with an inferiority complex. Big difference. "Why should I get married and have kids when I could lose those kids and most of what I’ve worked for at a moment’s notice?" asks Dan, a 31 year-old power plant technician who says he will never marry. "I’ve seen it happen to many of my friends. I know guys who came home one day to an empty house or apartment—wife gone, kids gone. They never saw it coming. Some of them were never able to see their kids regularly again." "It’s a shame," Dan says. "I always wanted to be a father and have a family. But unless the laws change and give fathers the same right to be a part of their children’s lives as mothers have, it just isn’t worth the risk." 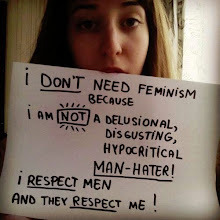 False information about pro men's or pro family sites is the path these feminists and their mangina lap dogs have taken. why? He was a "disturbed individual who murdered 4 men and 2 women", that is not a man. When they do go after the mhrm for whatever reasons they forget, out of misinformation but mostly stupidity, that women will also defend their fathers, husbands and sons against man hatred, the mra is no longer a man's only issue, it has become a human rights issue....feminists will go after a stay at home mom caring for her family, calling her a slave to her husband, which she freely chose, just as viciously as they go after men.